Scuba diving with a sidemount configuration simply means that you carry your tanks at your sides instead of on your back. This can reduce drag and is more comfortable for many divers. Sidemount divers often dive with two smaller tanks that are attached in the water. This makes carrying tanks and kitting up easier, especially for those who have difficulty lifting or walking with a backmounted tank. Technical divers typically need to carry extra cylinders, and believe that using a sidemount setup is the best option. 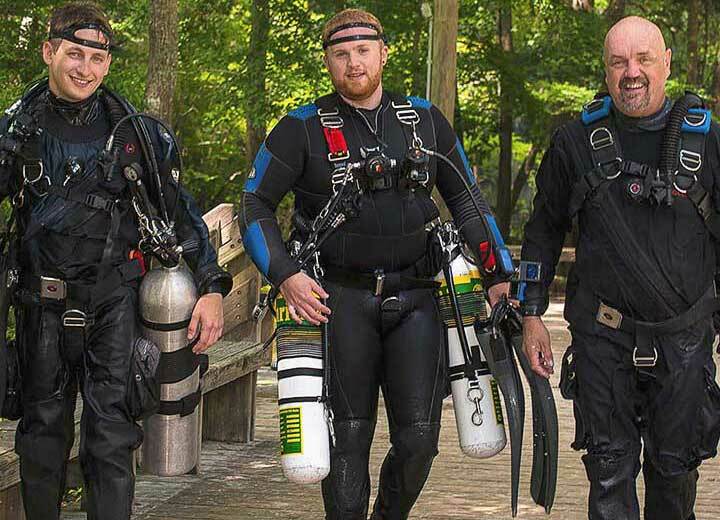 The PADI Sidemount Diver course introduces divers to sidemount techniques for recreational scuba diving. The Tec Sidemount Diver course teaches technical divers how to mount at least four tanks for their technical diving adventures. Interested in sidemount training? Contact us at Arizona Dive Shop Subic Bay for more information about sidemount courses. BCDs (buoyancy control devices) used for sidemount are usually wing style with a harness and different tank attachment points than backmount BCDs. Tanks attach at the hip and on the upper chest, at armpit level on either side. Most configurations use an elastic system (bungee, tubing, etc.) to hold tanks in place, or clips that attach to chest D-rings. One or two regulators with SPGs (submersible pressure gauges) to match the tanks, and at least one must have a low pressure inflator hose that hooks into your BCD. Many harnesses are padded for comfort and have pockets for weights to balance your trim. Most have crotch straps to keep the harness properly positioned. Some harness and BCD designs allow you to change out parts, allowing you to use the system for either backmount or sidemount diving. For cave diving, some BCDs have hoses that attach near the bottom of the bladder instead of the top. Cylinder-mounted weights allow you to fine-tune weight position during the dive by loosening and sliding the band up or down the tank. Where you dive and what kind of tanks you use affect how much lift you need from your BCD. You need to be able to easily and comfortably handle all clips and attachments. If you’ll wear thick gloves while sidemount diving, it’s a good idea to try putting on and taking off tanks with your gloves on. If you plan to boat dive with your sidemount system, make sure you’ll be able to quickly secure and release tanks on a moving platform or in choppy conditions. Rinse thoroughly with fresh water after each use – both the outside and inside or your BCD. Let it dry completely – out of direct sunlight as much as possible. Partially inflate the BCD and store in a cool and dry place. Don’t leave weights in the harness weight pockets. 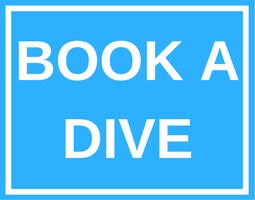 Are You Ready to Book Your Diving Course? If you're ready to choose your scuba diving course in Subic Bay, then click here to get started. Our Subic Dive Shop is a full service dive center offering PADI Courses, Fun Diving, Equipment Sales & Service and Repair, boat tours and commercial diving operations. We specialize in wreck diving and exceeding the expectations of our divers. We accept most major credit cards, US Dollar, Philippines Peso, Euro, Australian Dollar and Swiss Franc.